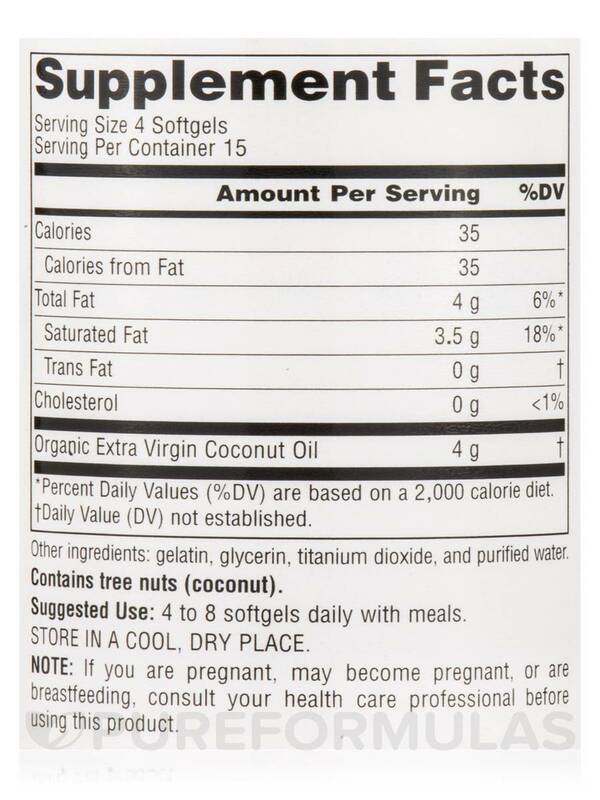 I bought Extra Virgin Coconut Oil because of the low price here on Pureformulas.com Great deal. 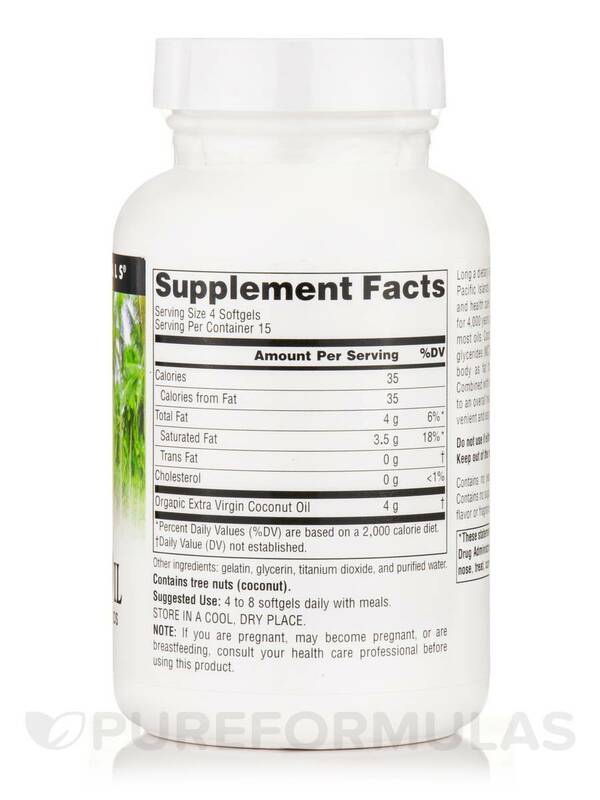 Extra Virgin Coconut Oil 60 Softgels from Source Naturals may support healthy immune response by helping the body maintain a healthy environment for the cells. Coconut oil is the edible oil extracted from the meat of matured coconuts and has various applications in food and medicine. In recent years‚ virgin coconut oil has become increasingly popular in health and natural food circles and with vegans. 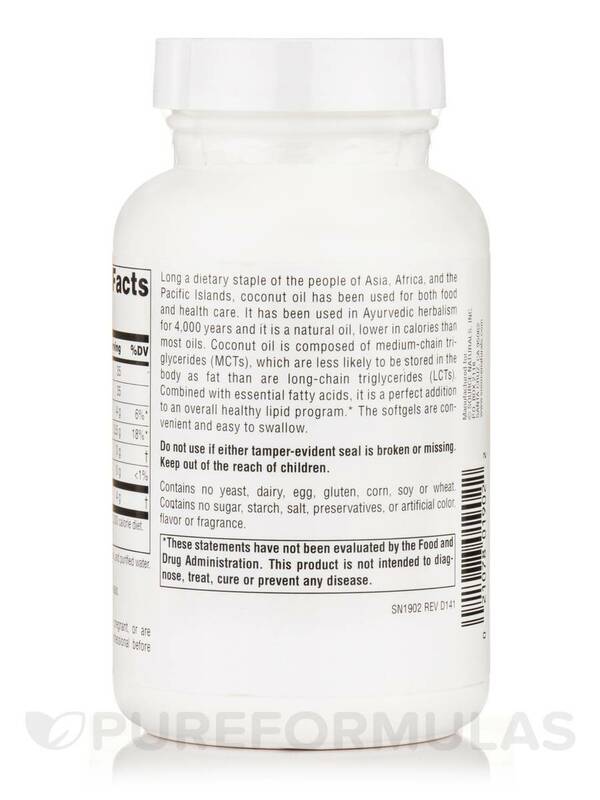 Coconut oil is commonly used in South Asian cuisines and when the addition this flavorful oil becomes difficult‚ the Extra Virgin Coconut Oil 60 Softgels from Source Naturals may be beneficial. The benefit of coconut oil is that it is made of medium-chain triglycerides (MCTs) that are less likely to be stored in the body as fat than the long-chain triglycerides (LCTs). 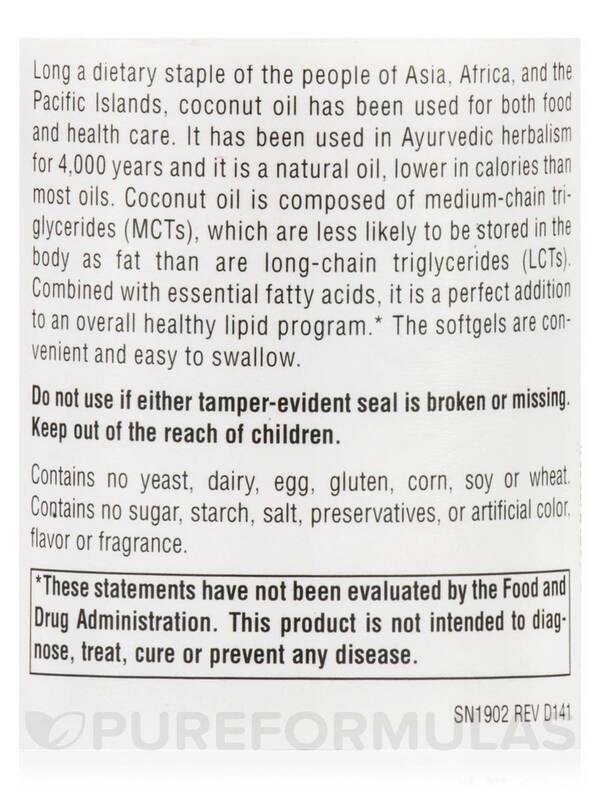 When combined with essential fatty acids‚ coconut oil is a perfect addition for creating a healthy lipid program. 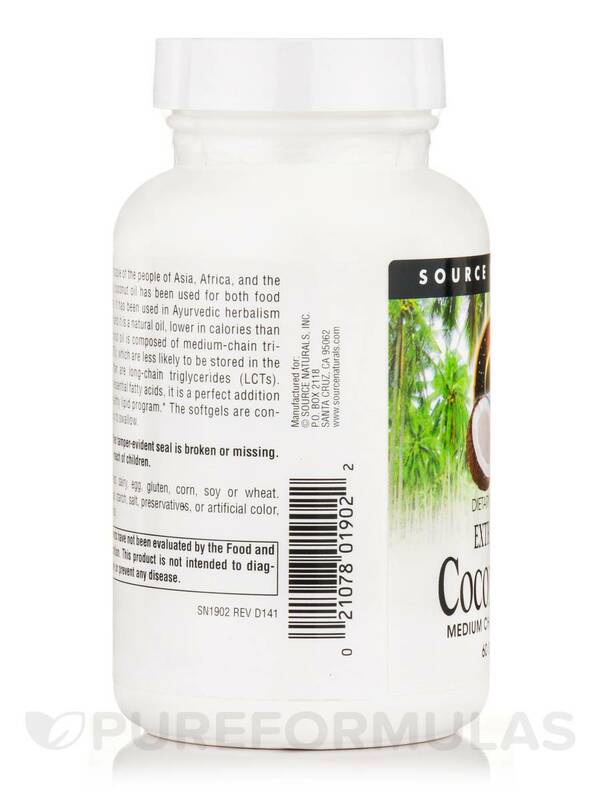 The Extra Virgin Coconut Oil 60 Softgels from Source Naturals is hypoallergenic and contains no yeast‚ dairy‚ egg‚ gluten‚ corn‚ soy‚ wheat‚ sugar‚ starch‚ salt‚ preservatives‚ artificial color‚ flavor or fragrance. Other Ingredients: Gelatin‚ glycerin‚ titanium dioxide‚ and purified water. If you are pregnant‚ may become pregnant‚ or are breastfeeding‚ consult your healthcare professional before using this product. 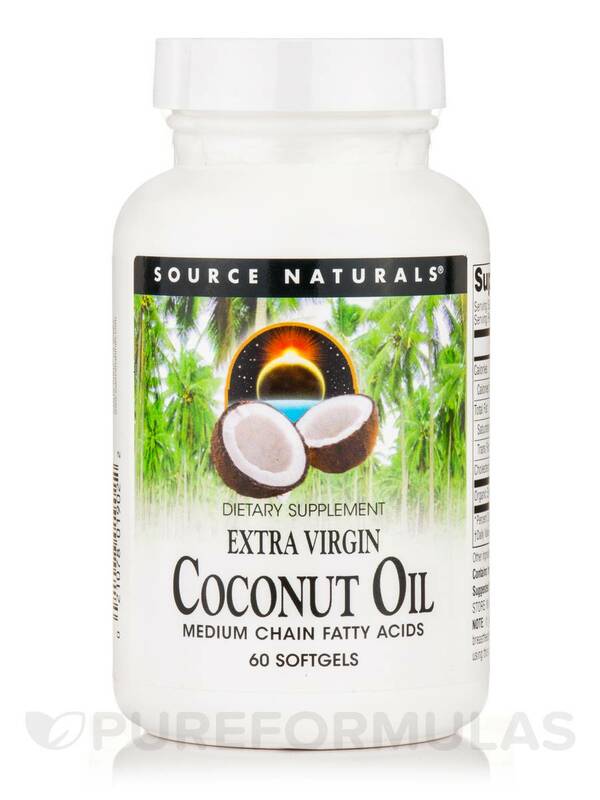 I love Extra Virgin Coconut Oil by Source Naturals and will continue buying!